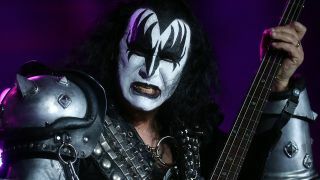 Gene Simmons says he hates playing Kiss classic I Was Made For Loving You… all because of its signature melody. The Kiss star was a guest of OK Magazine when he was asked to name a Kiss song he didn’t like but one that still went on to become a hit. He says that when Paul Stanley first introduced him to the track, which appeared on their 1979 album Dynasty, he was immediately impressed with Stanley’s opening lyrics. But when Gene asked what his part was, he was told it would be the catchy chorus melody. Last week, Stanley said he didn’t think another Kiss album would happen before they call it quits on their End Of The Road farewell tour. Further tour details will be revealed in due course.